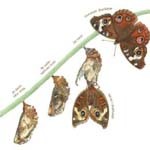 The creators of the award-winning An Egg Is Quiet and A Seed Is Sleepy have teamed up again to create this gorgeous and informative introduction to the world of butterflies. 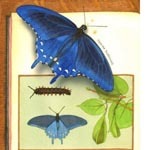 From iridescent blue swallowtails and brilliant orange monarchs to the world s tiniest butterfly (Western Pygmy Blue) and the largest (Queen Alexandra's Birdwing), an incredible variety of butterflies are celebrated here in all of their beauty and wonder. Perfect for a child's bedroom bookshelf or for a classroom reading circle! 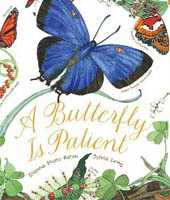 A Butterfly is Patient is earning high praise. It was selected as a Starred Review in Publisher's Weekly.